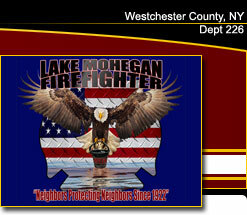 Welcome to the Mohegan Volunteer Fire Association Guestbook. Your feedback is important to us. Feel free to leave your comments. Thank you so much! This is definitely an good web-site. The jacket is in great condition considering it is over 40 years old. It is a reversible jacket with a tan inside and red snaps, while the wool side is red with white snaps. Before putting this up for sale to the public, I thought I would offer it up to your firefighters. If anyone is interested, I will sell it to them for $50 plus $10 for shipping. The jacket without the MVFD patch is worth more than I am asking and will list for more. To those of you who may remember I was one of the first members of the Mohegan Rescue squad with 15 years of accumulated service. Some of you my remember "Two Beer Bob" who is now in Utah and possibly re locating to California for another position in the Semiconductor industry. Thanks to all who prayed for my son Chris, who was a past member, now a 3rd year Medical Student at Loyola University in Chicago. He has recovered successfully from thyroid surgery and continues his medical rotations. I have a friend in Singapore whose son is in their Fire service and was wondering what the latest communication devices for firemen in buildings or brush fires. If anyone has that info please forward to my email address above. I was a member of MVFA from 1973 to 1976 as a firefighter/EMT. I still have my EMT patch from Peekskill Community Hospital and the helmet I bought back in the day. Looking for Roland E. Tompkins, if you have a way for me to reach out to him, please let me know. that are nice fire engines in your department. comes always heals home. best regards from the volunteer fire fighters Hamburg/ Germany. Location: Greenwood Fire Warwick R.I. Thanks and praise to you all for all the good work you do. Even on the hottest days you're out there on the job. God Bless you all! it would be nice to pay a visit to your web sight. I was wondering if anybody had a picture of the old 1939 Dia-T/Alfco R. 22 and the 1957 Cadillac Amb. Thank you from the bottom of my heart for doing your best at 36 montrose station rd fire.. Although the house couldnt be saved, my uncle was safe and not hurt. Thank you for everything you could do. I am trying to contact Howard Pfeifer who now lives in Fl.I am a life active member of the PVFD and remember Howie. I thought I would say hello. Including Jay Schwartz and Freimont. THANK YOU so much to all for your help today when lightning struck our house. 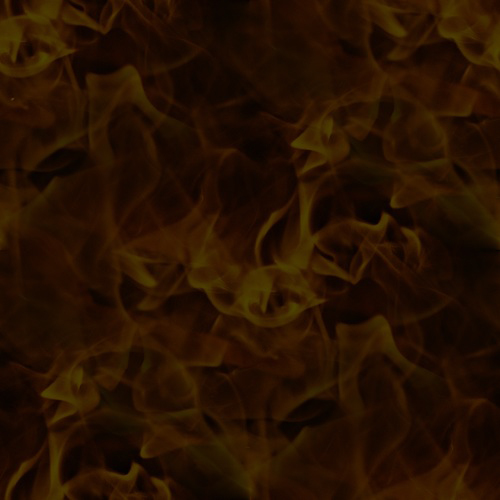 Your team was incredibly responsive, kind, and wonderfully thorough in making sure that there weren't any hidden fires. Thank goodness it was nothing more than minor damage! Just a big thanks to all you do every day..... God Bless. Rank/Title: pvfd firefighter/pvvac 3rd lt. Thank you all for doing a great job here on 1/16/10,by containing the fire. It could have been a total disaster, since our 76 ujnits are so close to each other. Sadly, we lost one unit, but no lives were lost. Keep up the good work and, again, thank you. This site is fantastic and so are you all! Before retiring, spent 24 years as a motorcycle cop investigating traffic crashes in Montgomery County, Maryland. Grew up in "Lake Alandale" (think it's called Cortlant Manor now) and have fond memories of the area. I have tremendous respect for all of my brother firefighters/ medics and pray for your safety in the performance of your duties. Just wanted to say thank you for your help today. When my husband slid out of his wheelchair in the van this afternoon, I didn't know what to do! You guys were there quickly, were very kind (and calming) and made quick work of helping us out and getting Eric safely back in the wheelchair and back home. Thank you from the bottom of my heart. You certainly live up to the Scottish Fire Sevice motto "Aye Ready" sometimes politicians change it to "Semper Paratus" but it means the same thing. I prefer the Scots version Aye Ready. Since an injury in 1975 I have been a Fire Buff visited hundreds of sites and yours is the best I have seen so far. Keep up the good work protecting your community.